The King Titan Arena, summoned through the King Titan Terminal. The King Titan is one of the Creatures and one of four Titans in the Extinction DLC of ARK: Survival Evolved. Though he could scatter his foes with a single charge, roar or swipe of his tail, and call fire down from the sky itself, In the end you banished the King of Shadows. No matter how many corrupted beasts he summoned or how many weapons he rendered useless, he could not snuff you out - for you fought with the hopes of the human race on your shoulders, and its tenacity at your back. Even at his most powerful, fully augmented by the Element that spawned him, you pulled the King of Shadows down from his throne. Thanks to your skill and unrelenting courage, humanity may yet have a future. The best way to describe his behavior is "Kill everything in sight" and saying "everything" is an understatement. Adding to its sheer power as a mechanized Alpha King Titan, it is considered to be an "Omega Level" threat. The King Titan stands bigger than all 3 titans and is the biggest creature in Ark. Its height is about 278m tall and 300m long (912 ft and 984 ft) and is about 4 titanosaurs high, which was previously supposed to be the biggest creature. 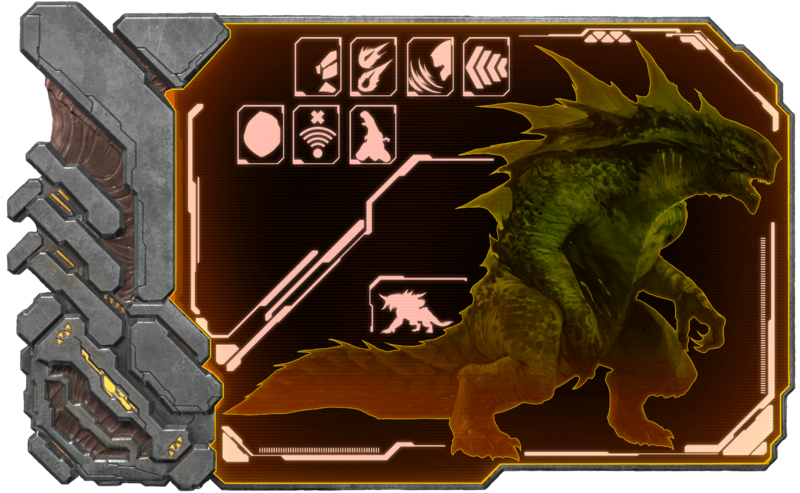 The King Titan has thick scaly skin and stands in a hunched position. It has a layer of mountain sized dorsal spikes sprouting in a curved formation on its back. It has two large blue eyes set at the front of its head along with a nose similar to that of a human skull. Several sharp teeth litter the gums of its mouth. A spiky sail runs down its back to its crocodilian tail. Each hand has 4 fingers with sharp claws. And just like most Extinction creatures, it has corruption running down its body. The King Titan always spawns with the same color scheme and has no color regions. This means it is currently impossible to make alterations to the King Titan's natural spawn colors. The Corrupt Tumor is a minion of the King Titan. When summoned, the Corrupt Tumor will start to glow and grow, eventually morphing into a Corrupted Giganotosaurus. The crate contains of at least 24 and at most 30 of the following tier sets. The tier set "Items Common" contains exactly 1 of the following item entries. The item entry "Items" contains at least 1 and at most 2 of the following items. The tier set "Items Rare" contains exactly 1 of the following item entries. The item entry "TekItems" contains exactly 1 of the following items. The tier set "Very Rare" contains exactly 1 of the following item entries. The item entry "Mek Saddles" contains exactly 1 of the following items. The tier set "Ammo" contains at least 20 and at most 30 of the following item entries. The item entry "Element" contains at least 1 and at most 3 of the following items. The item entry "Bullets" contains at least 10 and at most 30 of the following items. The item entry "MekAmmo" contains at least 1 and at most 3 of the following items. The crate contains of at least 18 and at most 24 of the following tier sets. This section describes how to fight against the King Titan. The King Titan is arguably the hardest boss in the game to beat, overthrowing the Dragon in terms of difficulty. With various attacks from both the fireball down to calling meteors at specific locations which cause the Enflamed debuff, to put it simply, the strategies that you would normally use for other bosses would not work for the King Titan. But with proper preparation, even the King of Shadows can be pulled out of its shadow throne within the arena. No matter the strategy you use, you MUST keep his attention centered in the arena. This has very little leniency for his movements. Failure to do so will cause the titan to be brought back to the center and he will restore health. In single player, a good pack of 15-16 Giganotosaurus with 100% Imprinting coupled with 2-3 high level Daeodons can easily take down the Gamma form in a matter of minutes, as well as defeating the Beta form with few casualties. Be sure to heavily upgrade the Daeodon in both Health and Hunger. 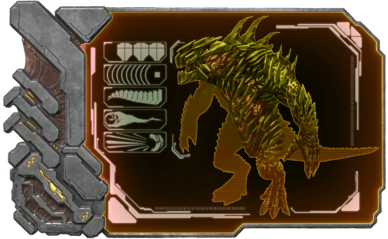 Other options include a Yutyrannus or two for buffing the Gigas and/or Ascendant Enforcers for dealing with Corrupted Creatures, as the teleportation capabilities of the Enforcer help immensely for defending the Corruption Nodes that appear throughout the fight. Keep in mind that using this method in multiplayer is ill-advised unless you have a large group of players to manually control everything. The King Titan can and will decimate your autonomous dino army in literal seconds. Tests have shown that even with 120-190 armor saddles, mate-boosted creatures can easily sustain over 12,000 damage in a single stomp from the gamma titan. Another method (and in multiplayer, this is the only viable method) would be to tame all three titans or at least have all three titans joins in the fight. The Ice Titan acts as a ranged damage dealer or crowd controller against the corrupted dinosaurs, the Forest Titan acts as a tanker and constant aggressor against the King Titan, and the Desert Titan acts as aerial support, hailing lightning and flocks upon the King Titan and all of his minions while defending corrupt element nodes that spawn. 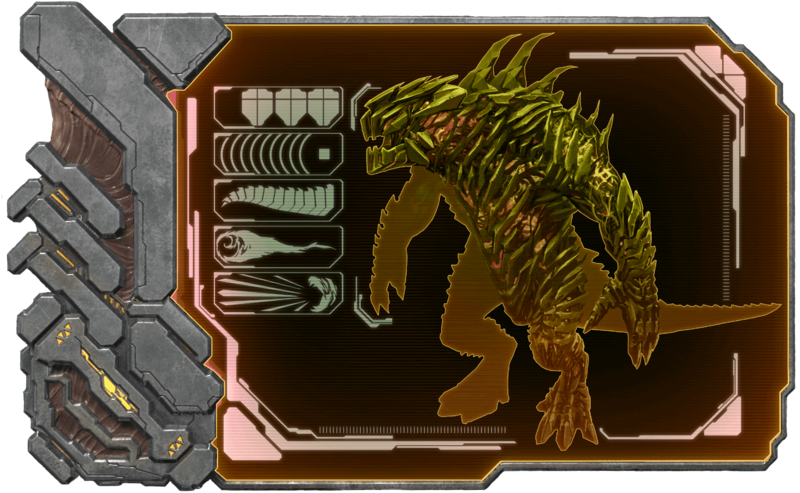 On Alpha, Mega Mek can be acted as a replacement for Forest Titan, but it is not recommended to use to defend the element node due to its sheer destructive power instantly killing it. Keep in mind that the King Titan deals 5 times as much damage against tamed Titans. As a general rule of thumb it would be advised to bring Medical Brews or Custom Consumables optimized for health gain in the event that you get caught in the fire left by meteor impacts. Pull your army back from the King Titan to defend the element node. The element node will consist of 3 waves total; an initiation wave and then 2 main waves. Corrupted dino levels are generally between 200-300 on gamma, untested for other versions. Failure to defend the main element node will restore some health to the King Titan, prolonging the fight. The battle will turn back to the main phase after the result of defending the element node. If your damage is very high and you have poor element node defenders (Gigas for example are subpar due to their massive collateral damage), keep focusing the titan, even through his massive damage reduction. Once you hit a certain threshold of damage, the element node will detonate and the King Titan will blast everything away from him. Beware the constant meteor showers around him during this. Afterwards the fight goes back to the main phase. No arsenal could prepare you for this fight, even the toughest of armor can't keep you from dying if you're hit. You must count on your tames to deal damage to the Titan. It is advised for any survivors partaking in the fight to use Meks, but be prepared to lose it during the battle. A Mega Mek is almost required for his Alpha form but be careful with it, as the King can kill it very quickly with a well placed swing. 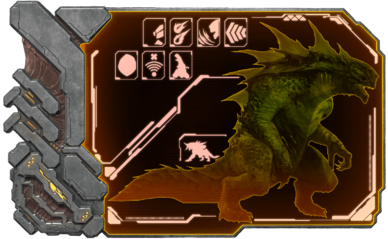 The meteors spawned by the King Titan can harm any tame (this includes Meks and and any flying tame that happens to be within the radius), inflicting Enflamed debuff; this debuff also affects the survivor if they are not in a Mek and riding another creature. Unless the survivor is in a Mega Mek, it is advised to get out of the lava crater formed by it as it will grant a quick and swift death. It should also be noted that corrupted creatures are vulnerable to the Enflamed debuff from these meteors as well. You can try using this to your advantage. At certain points of the battle, it will start charging its fist up with power, which can potentially instantly kill any tamed creature around it once its fully charged and released. Swings from the Mega Mek or constantly hitting its fist will interrupt its charging sequence, therefore cancelling the attack. If a piloted Mek is destroyed in this manner it will eject the player without harm to the player, though prepare for a hard landing unless you have either a Tek Chestpiece or Tek Boots equipped. The King Titan is constantly spawning corrupted creatures including Corrupted Reaper Kings. Getting slowed down by the Reaper Kings could make it hard to dodge certain attacks. Be aware that Titans take 5x damage from the King Titan. It also has an attack that deals massive knockback. In general, everything involving the King Titan is a danger. Be prepared to lose several tames and possibly survivors in this fight. On Alpha difficulty, the Mega Mek can be summoned, making the fight a little easier. However, in other cases, it has no weakness, albeit Mek's bonus damage against Titans. Also, some of the King Titan's attacks are very slow and can be reacted against. that has two different variations in appearance. of all titan that can't be tamed unlike other titans without using forcetame command. that requires previous difficulties of its trophy. that has a secret ending if defeated at Alpha difficulty. The King Titan's internal name, KingKaiju, is a reference to Godzilla. The King Titan, when forcetamed, will still attack nearby survivors and Creatures, even if it has been whistled Passive. The King Titan Terminal is located at 3.5, 49.2 in the Forbidden Zone. The King Titan is considered to be the final Boss of the game. The King Titan's actual height is unknown, because in one of the Explorer notes, it says that he stands taller than Mountains. The King Titan's dossier color is different from other boss dossier (being orange for both kind of dossier), like Rockwell. However, unlike him, it has additional flavor text on it. As your character gets uploaded during the ascension it is essential to store the Trophy in one of your tames, as it will be lost if it stays in the survivors inventory. The King Titan as seen in the art for Extinction. The King Titan as seen in the launch trailer for Extinction. This page was last edited on 17 April 2019, at 19:47.